Fabrication – the joining together of individual components to form assemblies and the joining together of individual assemblies into modules. Installation must be completed at the jobsite; fabrication can be completed anywhere. 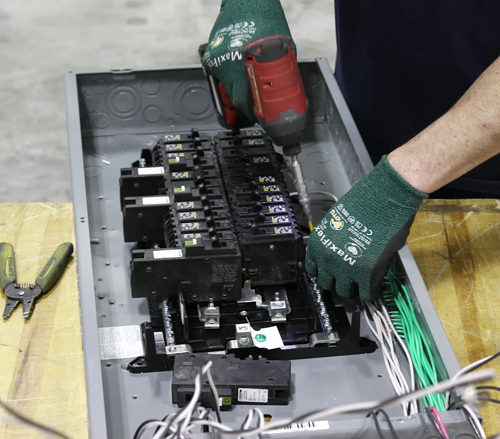 Fabricating assemblies and modules away from the jobsite increases our control of the work. Lighthouse Electric uses a combination of manufacturer partnerships and in house labor to meet our fabrication needs. To ensure fabricated assemblies fit right the first time, all fabrication is modeled in AutoCAD MEP Fabrication by the design team.